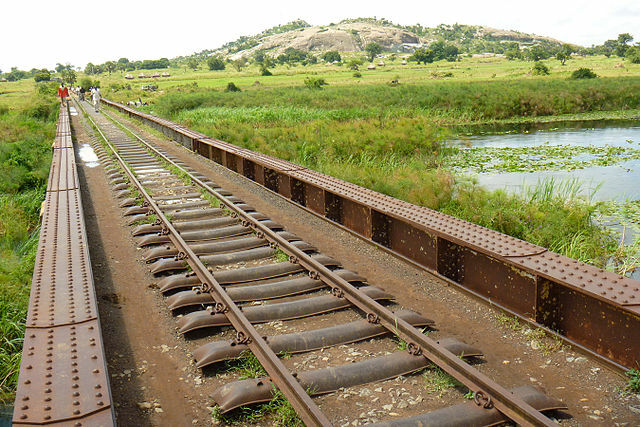 The proposed extension of Kenya’s $4bn Chinese railway – the country’s largest infrastructure project in more than half a century – has been held up by a number of legal battles since 2016. However, CRBC has already begun moving in equipment and cordoning off a section of the park, which conservationist say defies a court order halting the project. Last week, cranes, heavy machinery and workers moved into a cordoned-off section of Nairobi National Park, which is protected by armed rangers. Despite court orders ruling that construction of the proposed railway extension can’t yet begin, CRBC has already moved into the site and started building pillars to support the track. A small group of environmentalists held a protest on Thursday to demand the project is halted, accusing the government of openly breaking the law. “It is very disappointing. The government is openly breaking the law,” said one protestor. Jim Karani, legal affairs manager of Wildlife Direct, which is involved in the court proceedings surrounding the controversial project said the government is knowingly disregarding court orders. “What we have seen here is a government that is hellbent on getting its way and building this project even in defiance of court,” he said. Nairobi National Park is home to lions, hyenas and giraffes which are free to roam the grounds, just 7km (4 miles) away from the city centre. Conservationists say the proposed extension on Kenya’s Chinese railway project into the grounds will have a significant impact on nearby wildlife. Rail authorities insist the railway’s pillars will be camouflaged, noise pollution will be reduced and animals will continue to be allowed to roam freely. An appeal was first launched to the national environment tribunal in 2016 over the way an impact study related to the project was being conducted. The court ordered construction to be stopped until the case could be heard, in line with Kenyan tribunal laws. However, the government tried to amend the law that automatically halts projects when complaints are lodged against them, disguising the revision by placing it in an unrelated prevention of torture act. When environmentalists discovered the government’s plan they complained to the high court, which suspended the amendment.